The GEAB works to foster a positive and productive learning experience for both graduate students and postdoctoral researchers who work in the chemical sciences and engineering. The board develops recommendations related to graduate education and monitors and publicizes trends in education today. They also work to help enhance diversity in graduate and postdoctoral education and provide information about career paths in the chemical sciences. 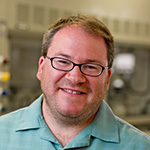 Corcelli joined the Notre Dame faculty in 2005 and currently serves as the director of graduate studies for the Department of Chemistry and Biochemistry. He is a Kavli Fellow of the National Academy of Sciences and Alexander von Humboldt Foundation as well as a Sloan Research Fellow. He is the recipient of several awards, including the Rev. Edmund P. Joyce, C.S.C., Award for Excellence in Undergraduate Teaching, a National Science Foundation CAREER Award, and a Camille and Henry Dreyfus New Faculty Award. Originally published by Rebecca Hicks at chemistry.nd.edu on January 14, 2014.